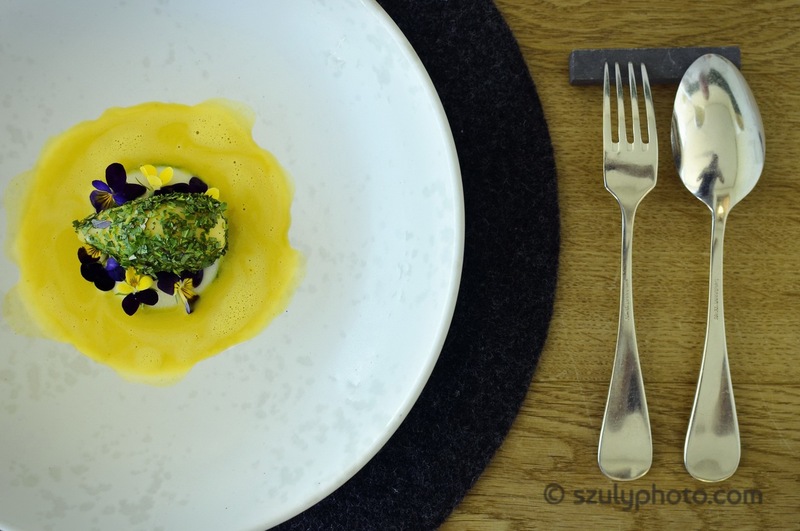 Overhead view of home grown potato, sorrel pistou and turmeric juice, served in a white plate, next to a fork and a spoon on a kight wood table. 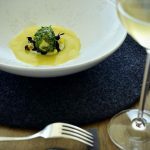 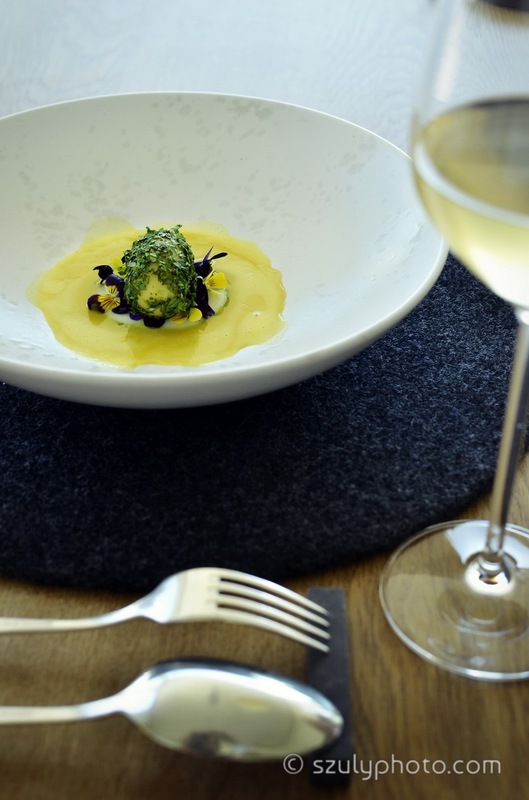 Side view of home grown potato, sorrel pistou and turmeric juice, served in a white plate, next to a fork and a spoon, accompanied by a glass of white wine on a kight wood table. 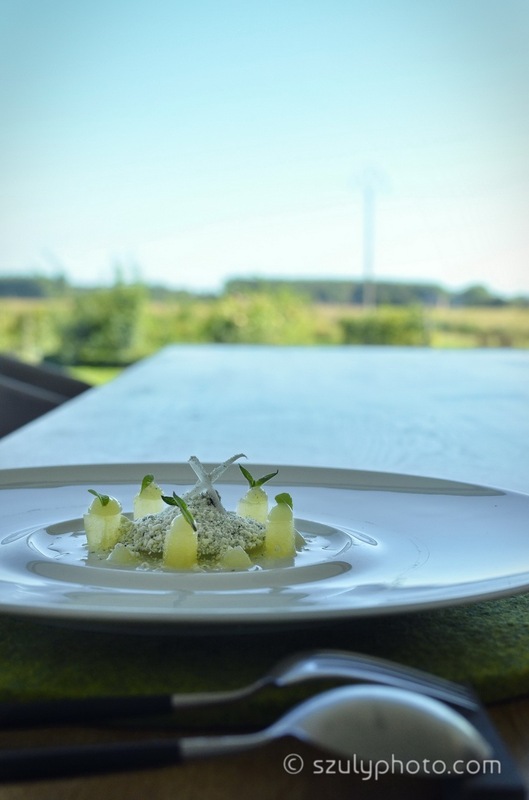 Side view of john dory fish with ground blue cheese and zucchini on a white flat plate, next to cutleries, in front of the window to the garden. 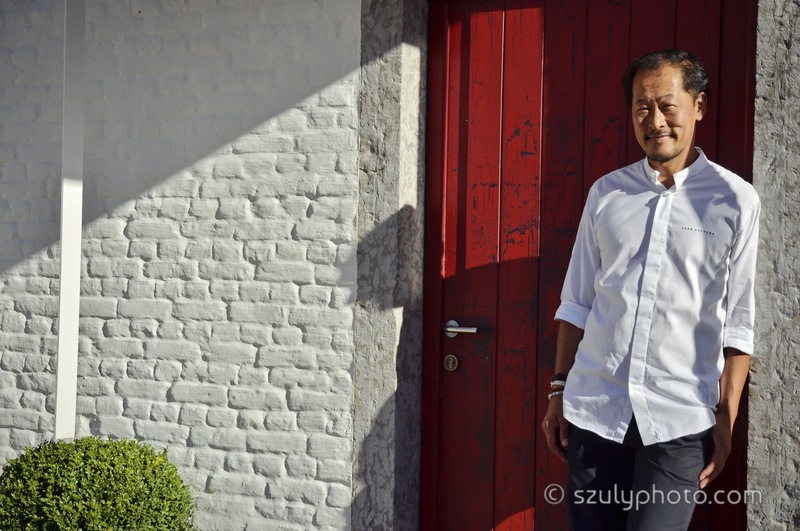 Sang Hoon Degeimbre, a Michelin star chef is standing in front of a red door under the setting sun, int eh garden of his restaurant. 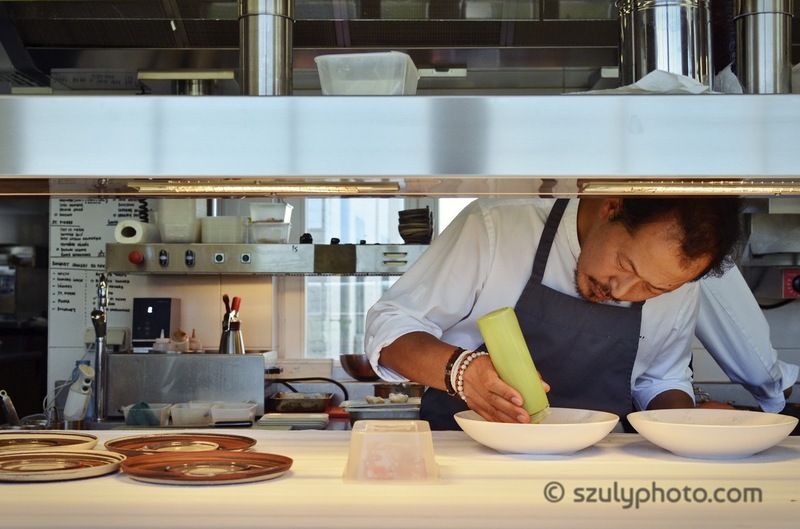 Lunch at the L’air du Temps, prepared by the two Michelin star chef Sang Hoon Degeimbre. 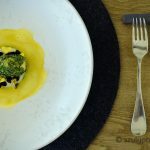 More details in the blog! 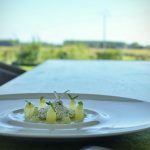 The series was created for the Hungarian culinary blog Vilagevo.